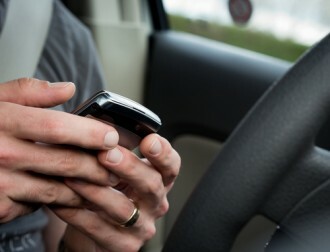 Texting while driving, though illegal Colorado since 2009, still happens way to often, causing preventable car crashes, injuries and, in the worst cases, deaths. “Radical change requires radical ideas,” said Mark Rosekind, an official at the Colorado Department of Transportation (CDOT), referring to beefing up the tactics used to try to stop distracted driving and, specifically, cellphone use by drivers. The Harvard School of Public Health, which proposes a ‘designated driver’ type program. Mothers Against Drunk Driving Founder Candace Lightner who developed a group called Partnership for Distraction-Free Driving. This organization has been petitioning social media companies to put out safety campaigns. New York lawmakers who have proposed using a new digital device similar to a breathalyzer: the Textalyzer. Law enforcement responding to a crash would ask for phones of drivers involved in the crash and use the Textalyzer to tap into the smartphone’s operating system to check it for recent activity. The Textalyzer technology would allow investigators to see any text, email, or any other activity the phone was engaged in prior to the crash. Those who refuse to hand over their cellphones could face penalties, such as an automatic suspension of their driver’s license (similar to the penalties now imposed for motorists who refuse BAC testing when there is reason for officers to suspect impairment). Proponents of the New York bill believe that punishments for texting while driving (let alone causing distracted driving crashes) need to be as strict as drunk driving in order to really deter motorists from engaging in this dangerous behavior. Some critics think that this textalyzer technology could be too intrusive on our personal rights, comparing it to a Big Brother-style approach to rectifying bad driving behaviors. These critics contend that the use of the Textalyzer would give law enforcement officers access to emails, texts and personal information – putting people’s sensitive information and privacy rights at risk. “It really invites police to seize phones without justification or warrant,” said Donna Lieberman, the executive director of the New York chapter of the American Civil Liberties Union. Even though a 2014 Supreme Court decision ruled that police could not search someone’s smartphones without a search warrant, the bill’s sponsors say they are basing this legislation on the same kind of “implied consent” theory that has been used to permit breathalyzing suspected drunk drivers. It remains to be seen how the New York bill will be received – and whether other states may follow suit in trying to pass similar legislation. As more news about this bill and the Textalyzer becomes available, we’ll bring you the latest updates here, in a future blog. If you have been injured in a car accident, contact a trusted Littleton car accident lawyer at Bahr, Kreidle & Flicker to find out more about your recovery options. Call us at (303) 794-7422 or email us using the contact form on this page to speak with one of our attorneys and find out more about how we can help you.